City Council's Budgeting Agency (Banggar) has postponing its meeting with SKPD to formulate APBD-P's General Policy and Provisional Priority Budget Ceiling (KUPA-PPAS) 2017 on Monday (8/21).
" There are several commissions which are not ready to report to Banggar today. Thus we postpone APBD-P's KUPA-PPAS meeting"
Council's Banggar Head, Prasetio Edi Marsudi said, meeting on that day was postponed because APBD-P's KUPA-PPAS 2017 in-depth discussion is not yet done in several council commissions. "There are several commissions which are not ready to report to Banggar today. 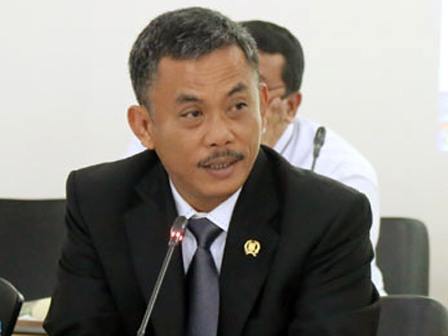 Thus we postpone APBD-P's KUPA-PPAS meeting," he said at City Council Building, Monday (8/21). Considering its effectiveness and quality, he mentioned that APBD-P's KUPA-PPAS 2017 meeting will be continued on Thursday (8/24). "Give me time until Thursday to continue formulating APBD-P's KUPA-PPAS 2017 together," he expressed. Separately, Jakarta Government Budgeting Team (TAPD) Leader, Saefullah said, his side and SKPD are ready to discuss APBD-P's KUPA-PPAS 2017 since it was scheduled on Monday. He explained, the meeting scheduled is supposed to submit reports from each council commissions to Banggar Head then it will be responded by SKPD if needed. "If it needs an explanation, we are ready to explain it," he closed.